You want to get a newborn hearing screening done for your baby as early as possible to ensure that they are hearing properly! There is nothing in this world more important to you than your newborn and their well being. Their health and safety is above all else your number one concern. This is why you must understand the importance of a newborn hearing screening to make sure their hearing is completely fine. 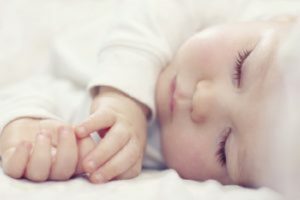 Without a newborn hearing screening, it can be near impossible to detect any type of hearing loss in newborns and babies because there are no apparent and noticeable risk factors at this stage. Newborn hearing screening is an absolute must for all newborns, and here is why. One of the primary ways in which children learn is through listening. Babies tend to react to high-pitch or familiar noises as well, like the sound of your voice. They need the ability to hear to learn valuable lessons, especially for their speech and language development. With hearing loss or issues, a child’s growth can be detrimentally stunted because they cannot hear properly. This is why a newborn hearing screening must be conducted because if they do in fact have a hearing issue, it can be dealt with and handled in a way that will not hurt the child’s development. Get ahead of the issue with a newborn hearing screening before it hurts your newborn too much. When it comes to having a newborn hearing screening done, there are two types that are usually done. First, there is an Automated Auditory Brainstem Response (AABR), which is used to see how the hearing nerves respond to sound. The test measures the response that takes place when a click or tone is played is played into the newborn’s ear. Another type of newborn hearing screening is Otoacoustic Emissions (OAE), which requires a soft earphone being placed into the newborn’s ear. The earphone will play a sound as part of the newborn hearing screening, and doctors will look for an echo response that ears usually have. If there is no echo response, then there is an issue present with their hearing. If your child passed the newborn hearing screening, then nothing else will need to be done aside from having future hearing tests with an audiologist. However, if hearing loss seems to be present, further testing will be need to make sure there actually is hearing loss. If hearing loss is still noticed, then specialists will need to be consulted to see what can be done next with your baby to help their hearing, such as hearing aids or special services your child may need. Contact Bay Area Audiology Today for Your Newborn’s Hearing Screening! If you are concerned about hearing loss or seeking hearing evaluations, tinnitus evaluations, or hearing aid assistance, our doctors are ready to help. We are passionate about helping all of our patients improve their quality of life through better hearing. We also believe that patient education is critical, so you won’t be lead through endless sales pitches at our office. If you are interested in hearing how we can help you hear even better, contact us at (410) 838-4327 or online. For more hearing tips and articles, follow Bay Area Audiology on Facebook,Twitter,Google+, Pinterest, and LinkedIn. This entry was posted on Friday, November 16th, 2018 at 11:10 am. Both comments and pings are currently closed.